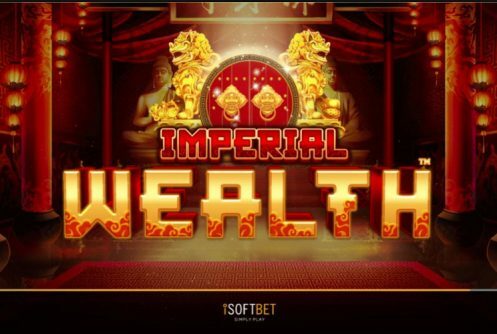 Imperial Wealth is a 20 payline, 5 reel medium variance slot from iSoftbet. 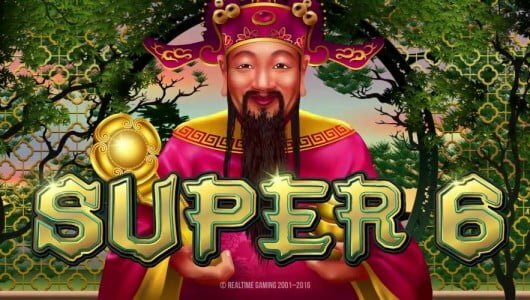 It’s an Asian themed slots machine that celebrates the illustrious lifestyle of ancient China. 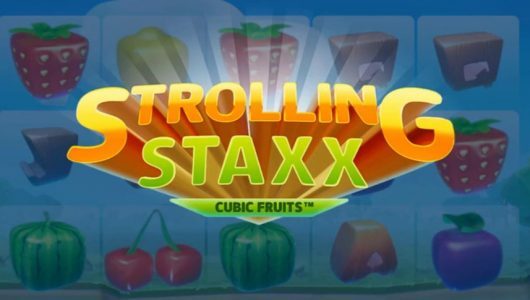 With a top jackpot of 1,928x your stake on a single spin the following in-play bonus rounds such as a Fortune Tree Bonus and Free Spins feature sets you up for riches. Furthermore, each bonus round is augmented by wilds, wild reels and multipliers. Along the sides of the reels you’ll see Imperial Lions, if you hit a decent payout like 5 of a kind they let rip with a mighty roar. You can spin the reels from as little as £0.20 per spin up to a maximum of £20 on a mobile device or your PC desktop. The visuals of the game is a bright affair wrapped in a pagoda-style building while the symbols on the reels remain true to the theme. You’ll see lion statues, low value cards from 10 Aces and premium symbols such as lions, fish, pigs, the wild (Chinese letter), cats and of course the golden lion. When 5 of the latter symbols grace the reels at the maximum wager of £20 you’ll pocket 15x your stake. Imperial Lion has a theoretical return to player percentage (RTP) of above 96%. The wild is the Chinese letter symbol it completes winning combinations when it replaces symbols adjacent to it except the Bonus symbol. The game also threw in a couple of extra goodies just for good measure. The nice bit about this feature is that it can be triggered during the main game on every spin. Along the side of the reels the lions roar and while they’re at it they add more wilds to the reels making 5 of a kind wins easy peasy. The Fortune Tree Bonus & Free Spins feature is played by 3, 4, or 5 Bonus scatters that triggers 5, 10 up to 15 free falls. The amount of free spins you’ll receive are tied into the scatters – the more scatters pitch the more free spins you’ll get. 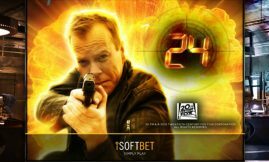 Before the free falls feature starts wallets from the money tree must be picked, not only do they award additional free spins but each free spin can be accompanies by more wilds and multipliers. More free spins are gained should 2, 3, 4 or 5 Bonus symbols pop up, anything from 3, 10 up to a sublime 30 free falls will be added to your current free spin tally. 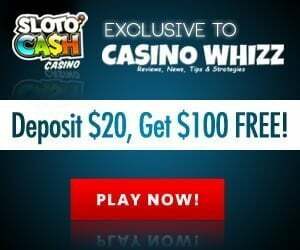 Basically you can gain as much as 100 free spins making it a potential cash cow. The visual fidelity didn’t blow us away but it’s the animations that impressed us, especially when those lions roar. With the Chinese New Year around the bend it makes perfect sense as to why software houses are rolling out Chinese themed slots. 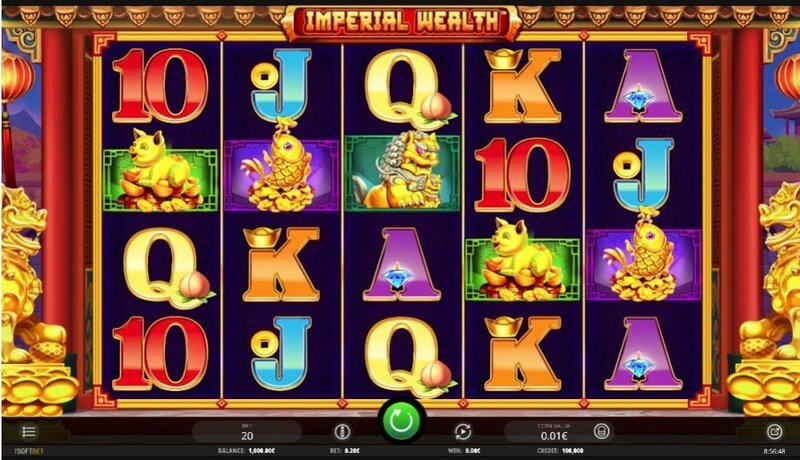 With a fair amount of bonus rounds and a top win of 1,928x your stake, Imperial Wealth gets a nod from us. If you had fun playing the game and you’re more than welcome to try out IGT’s MegaJackpots Star Lanterns. It’s a progressive jackpot slot with way more bite and plenty of bonus features. It has 2 bonus rounds. The first is the Imperial Roar feature that can be triggered on each random spin during the base game, the lions along the side roar adding more wilds to the reels making 5 of a kind wins possible. 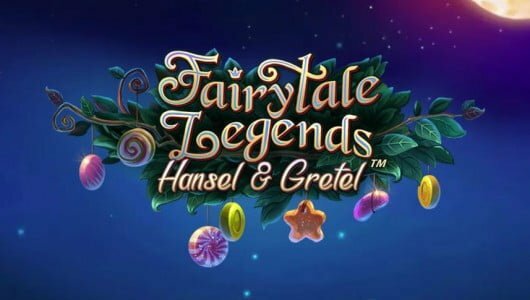 The other one is the Fortune Tree and Free Spins, that rewards you with a potential cool 100 free spins along with wilds and multipliers. Of the bonus round which one is the most lucrative? The Fortune Tree and Free Spins offers the biggest wins, the top cash prize you can win on a single free spin is 1,928x your stake!